End of tenancy cleaning comes to mind when tenants decide to move out of their place of abode to a different location. It includes cleaning, scrubbing, polishing and making sure that the area you’ve occupied for the last few months or years is as good as it had been before you rented it. For the landlord, it is important for the occupants to clean their flat before other tenants settle in their new home. The major goal of end of tenancy cleaning is to maintain the cleanliness and order of the apartment without developing noticeable dusty areas, unwanted wall cracks, broken drawers or the likes. Oftentimes, the money deposited is paid to the landlord to be used as payment for future home cleaning or repairs. It somehow guarantees the landlord that the flat is maintained in good condition. The new tenants who will move in can be assured that the room is free from unwanted dirt, stains, odours and damages. The cleaning is usually done by professional cleaners; the new home is being cleaned using the best tools and equipment with no wasted chance of making the best out of everything. This makes the start of your tenancy easier by providing you with comfort and hassle-free cleaning. A certain amount is usually deposited to the landlord for safe keeping providing that the flat is left in good condition when the tenant moves out. When you decide to move home, your deposit could be returned to you given that you have maintained the condition of the room. Failing to do this, the tenant may not have the deposit returned to him as it is to be used by the landlord for hiring a professional cleaner instead. It is the best choice to avoid the transmission of certain diseases and to ensure safety and cleanliness of the environment. Our company Chrisco Cleaning Services Ltd will provide you with great services at a very reasonable price. With a high commitment to cleaning quality, we only use tools and cleaning detergents that are in line with excellence in this field. Being one of the leading professional cleaners, you could never go wrong with a company that will go above and beyond what you would expect. Simply, you get the best out of your payment as you will get high quality service. First find the range of services you’re looking for. Make sure the company has insurance to avoid problems arising in the future like damage to your property or when accidents happen to one of the cleaners. Also, check whether the company hires trustworthy employees to give you confidence in leaving your space and possessions with them or not. Another thing is to check for the company’s length of experience since this could give you more security that they do their job with all honesty and efficiency to meet more than your expectations. Trained by professionals, the cleaners must be knowledgeable in cleaning different types of rooms and must be able to apply various techniques to be more proficient. Choose Chrisco Cleaning Services Ltd and you will get all the benefits of having a professional cleaner with no more worries. Therefore, we give you the freedom to put your time into more useful things spent on your job or your family instead of cleaning the space on your own. We’re here to make life easier. By hiring professional cleaners, the company won’t be bothered by the garbage disposal system anymore. Employees working for the company would be able to concentrate more on their designated jobs rather than wasting their precious spare time cleaning their respective offices or areas. Every day they could be assured that there will be someone to do the job of keeping the office clean. With hired professionals to polish the office, the regular employees do not need to make time for cleaning. They could perform their suitable jobs more effectively without the inconvenience of working at messy and dirty stations. There could be more time spent wisely on more important things which could generate more income for the office. Proper sanitation is practiced by professional cleaners, which could diminish the number of sick workers from the office due to pathogenic bacteria and viruses lurking all over the office. Direct cleaners are often focused on just keeping the place only visually cleaned and not microscopically. Therefore, there is still a risk of getting sick in an office not properly cleaned. Hiring direct individual cleaners could sometimes be risky due to lack of training and lower contractual rate. While some companies thought this idea could save them money, this may not be the case in the long run. Cleaning staff, due to low wages and poor job security are notorious for being absent. Such absence can leave the office filthy as the company scramble to find cover. Every good professional cleaning company should have public liability insurance and provide proper training for the cleaners. This is to ensure the safety of the workplace to be free from damages and theft done by the cleaners. Also, trained cleaners know various techniques on how to deal with stubborn dirt and stains for time efficiency. Cleaning time could be lessened and more areas could be polished right away by cleaners who had undergone specific training. Working in a cleaning company, professional cleaners usually own a large number of cleaning tools and equipment to maximize sanitary cleaning. They are knowledgeable on the operation procedures making them more efficient. Direct individual cleaners, on the other hand, usually lack certain expensive tools which could delay the cleaning time into longer hours. Given that the cost of professional cleaning services is only marginally higher that employing staff directly, for the extra benefits they are well worth it and are great value for money. After completing the job, you’ll never want to go back or try direct cleaners ever again. All things mentioned above are found from your very own leading professional cleaning service company in Birmingham, Chrisco Cleaning Services. See www.chriscocleaningservices.com. You could never go wrong with Chrisco Cleaning. Having a clean environment is an essential part of a successful business. A clean working environment is important for several reasons. Firstly, sanitation is necessary for the health and wellbeing of staff and customers alike. While this may seem obvious for food handling businesses, it rings true for all businesses. Secondly, a dirty and poor kept office is a detriment to employee morale. It is unthinkable to expect creativity and motivation to thrive in an environment characterised by filth and grime. A third reason for having a clean office is that it affects the reputation of the business. Have you ever been to a place of business and the toilets weren’t clean? We all have, how did you feel about the business then? The fact is that nothing drives potential customer away from a business premises like poor sanitation. Most people are prepared to pay a bit more in order to do business in a clean, fresh building. Asking staff members to clean the building themselves is a backward step in motivating them. Most companies are also becoming increasing reluctant to employ cleaning staff directly as it inflates their staff numbers, most find it difficult to offer the cleaners enough employment hours to keep the cleaning staff loyal to them in the long term. Essentially then the only real alternative for office cleaning is to employ the service of an external cleaning company. But here is the big question, how do I choose a cleaning company? Do I just go for the cheapest? 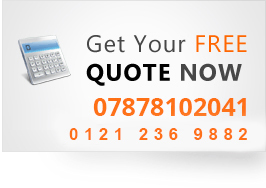 Get price quotes from a few local companies. Generally, three is an acceptable number. For example, if you are in an office in Birmingham, you would call or email three cleaning service companies in Birmingham. Most cleaning companies will visit your office to estimate the work. When you get this quote, ask for a list of services they provide. Most companies will provide mopping, vacuuming, cleaning, and deep cleaning of the bathroom and dusting. Some companies will also provide additional services such as carpet and upholstering cleaning, this is usually not included in the quoted price. Request a copy of the cleaning company’s Public Liability insurance certificate. This is a big deal as in the absence of this you may be responsible for injury sustained by the cleaner on your premises. Many ‘flyby night’ companies may not have insurance and should be avoided. Ask for a copy of their contractual terms. Most cleaning companies will want you to sign a cleaning contract for a fix period, generally 12 or 24 months. Find out about what is your recourse if you are not happy, can you leave the contract early within a given notice period? Or do they offer a trial period? How experience is the company? Who are the managers? Like any other job, the more experience the company and its staff posses the better off you will be. Find about the company’s complaint handling procedures. Does the company carried out its own service quality checks. Select your cleaning service provider. Never choose an office cleaning company by just blindly picking the lowest quote. The adage ‘if you pay peanuts you will get monkeys is more applicable in the cleaning industry than any other industry. However do not pay over and above either. If you are convince that two companies are equally qualified then go for the lower priced company. If the one you would like to do business with is priced outside your budget, don’t be afraid to call and negotiate. Chrisco cleaning services Ltd is located in Birmingham UK, over the years the company has built a steadily increasing business through referrals. See www.chriscocleaningservices.com. As a leading provider of office cleaning services in Birmingham, the company provides additional services such as carpet cleaning, deep cleaning and sanitisation. The company is also widely known for providing End of tenancy cleaning service in Birmingham as well as a full array of other services.